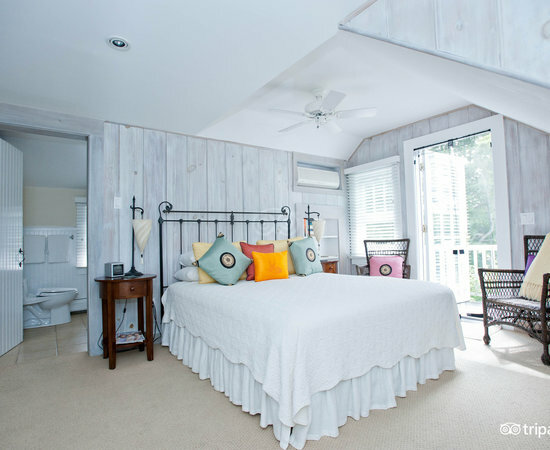 Sprawled across the picturesque, sunny shoreside on one of Cape Cod’s most pristine stretches of land, A Little Inn on Pleasant Bay is the beachfront bed and breakfast you always dreamed of, but never thought existed. The property is just as quaint, cozy and fairy tale-esque as its name. 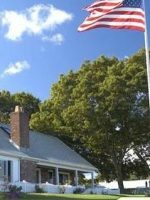 The property is owned by two pleasant and courteous English sisters, Pamela and Sandra, who came to Cape Cod to make their vision of the perfect inn a reality. The inn is a great mix of rustic beauty, home-style warmth and good old-fashioned customer service, all wrapped into an excellently landscaped, tastefully decorated package. 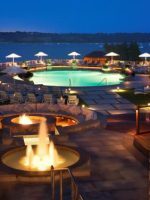 The stunningly well kept gardens, overlooking the picture-perfect Pleasant Bay, excellently complement the inn’s nine rooms, each with its own custom design and colorful decor. 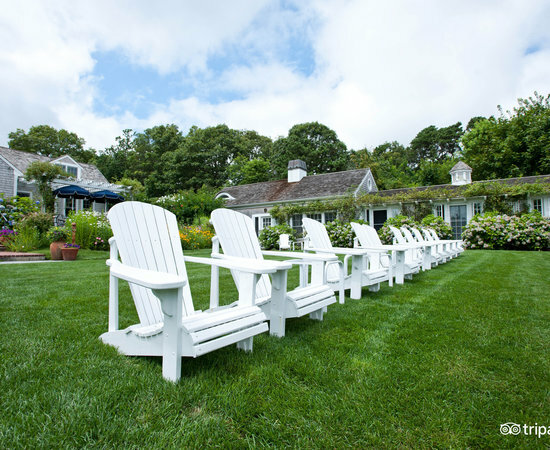 Enjoy a beautiful, tranquil afternoon outside with the family, lounging in one of the inn’s strategically placed adirondack chairs. But don’t be surprised if you see your room’s name on one of the passing boats. How else do you think people come up with room names like “Whistler,” “Daysailer” and “Baybird”? Rooms are air conditioned and come with a private bathroom, which includes towel service, toiletries and hair dryers. Rooms also come with daily maid service and complimentary Wi-Fi access. While there are no TV’s in any of the rooms, there is an excellent selection of magazines and books to enjoy. 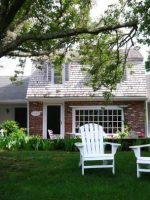 Close proximity to the beaches of Skaket, Monomoy, Chatham and Nauset, as well as the property’s own small, private beach, makes this property ideal for families looking to go on a tour of Cape Cod’s beaches. 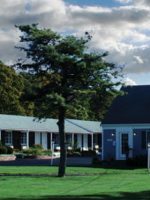 The inn is also located near all the shops, restaurants, boutiques and entertainment of Chatham and Orleans. While a gourmet European buffet breakfast is offered to every guest, the concierge will gladly point you in the right direction if your family is looking to sample a little more of Cape Cod’s world-famous cuisine. 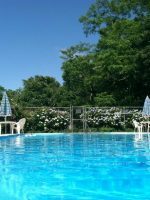 They’ll also help organize sightseeing trips, boat tours and make suggestions for other ways to enjoy all the family-friendly fun Cape Cod has to offer. 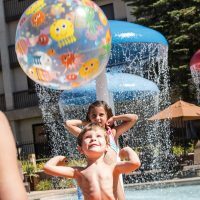 Our family has loved staying at Little Inn over the past several years. Pamela and Sandra couldn't be more hospitable and the breakfasts are amazing. However, we recently experienced a reservation kerfuffle. When we departed last August 13, we booked a reservation for 4 rooms June 3-8, 2019. Just found out that Little Inn changed their reservation system last November and it apparently dropped our reservation. Our family is terrible disappointed and after some scrambling and talking with realtors, we were able to get a comparable reservation for that time period at Chatham Inn on Main St. I would suggest to anyone who made their reservation before last November to double-check that they still have one. This place is an absolute gem. Please don;t ever change a thing and please don't leave. The staff and ownership are impeccable. This place is like something out of a storybook. From the pristine grounds to the world class service you are in for a treat.